We are asking David Johnson to coach RB and he hasnt really done that yet. You want your RB coach to be a ace recruiter. Johnson has connections in Memphis and Louisana but I'm not sure they make that much of a difference so far. If UT makes memphis a priority I dont know if you necessarily need a coach from the area. Jay Graham has experience coaching running but more importantly recruits very well. Graham would help us lock down NC. It doesnt say but I bet that Graham is the main recruiter for Zachary Evan's and might get us in the conversation. With Chaneys offenses producing great RBs and 2019 oline class and the potiental to follow this up with another great oline class in 2020 we are primed to get an elite RB. Johnson’s a former RB’s coach...Tulane. But it’s no stretch to coach RB’s when you’ve coached WR’s at his level since WR’s requires much more technical teaching. It’s a step down for him. Graham wouldn’t exceed him as a coach...but much more skins as a recruiter. After the states of Florida & Georgia in the southern part of the US the next state by population is North Carolina. From a sheer numbers perspective that population and state we need to be recruting heavily from as the players should be there. If Jay can lock that state down, get him in here, now. I really don't want to lose David Johnson. Great WR coach and he was our 2nd best recruiter behind Niedermeyer. If we're going to lose someone, rather it be Weinke. 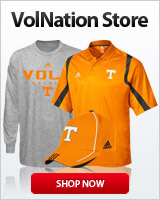 Though, would be nice to find a way to get Tee Martin, David Johnson, and Jay Graham all on the same staff. We really don't need to lose either of them. CDJ's credentials are as you say and I believe CCW has us in the door with OL prospect Justin Rogers. Hearing some rumors on TOS that David Johnson is leaving and we are getting Jay Graham. Just curious if anyone else has heard anything about this rumor? Little late to the party aren't you? Gettting Jay Graham as the rb coach would be great,but,David Johnson is a hell of a good receivers coach.Our wr's,were head and shoulders above 2017's version.Be nice if we could keep YAC and get Jay. Johnson coached RB at Tulane, I believe. Some coaches like Trooper have coacjed em both. Who did Johnson bring in this past class that makes him our 2nd best recruiter? Add in Ansley and we upgraded our recruiting big time. Graham can coach special teams as well. I think this has been in the works for a while. Johnson probably leaves and Graham comes in IMO. Who has Weinke recruited? And give Brian N. (recruiter of the year) a raise. If Johnson stays, he won’t be coaching WRs, Tee will. Already heard that Johnson has been reaching out to RB targets (Tee Hodge for example) to them know he’s gonna be the new RB coach.....if he stays. Weinke didn't set the world on fire, but he got the ball to a lot of weapons . Warrick was a beast that year. No idea. Honestly Pruitt probably knows better than any of us who is doing the heavy lifting. Weinke has connections into Florida; it's entirely possible that he has us in on some people this cycle. I don't know who is the weaker recruiter out of Johnson or Weinke but I do know Graham is an elite recruiter, decent position coach and he has special teams coaching experience plus a history with Pruitt. He checks a lot of boxes so you get him on staff somehow. Ok, thank's.... That's in my backyard!!! I know Tee is going to WRs. But it seems like Weinke would be the obvious sacrificial trade for Graham. Please let it be! What is Weinke's value? Johnson at RB coach? Don't know if he has any experience at coaching RB but he Can keep his YAC title. Instead of yards after catch, can be yards after contact. 4200 yrds, 33 tds, and an undefeated NC.